Ukrainian foreign minister ridicules Russia's statement of weapons found down in coalmines. 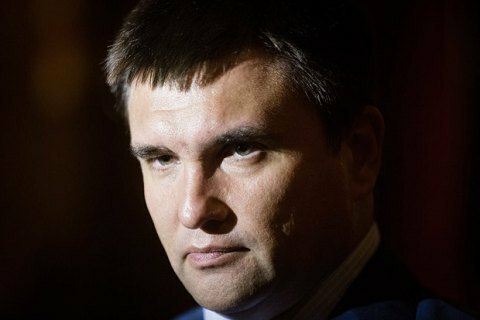 The Minister of Foreign Affairs of Ukraine Pavlo Klimkin says that the Russian Federation has sent up to one thousand artillery systems, over 400 tanks and 200 multiple rocket launch systems to Donbas. During the Senate hearings at a 7 March meeting of the appropriations subcommittee overseeing the State Department and foreign aid, the head of Ukrainian diplomacy said the scale of Russia's hybrid warfare against Ukraine is reflected in the shocking number of Russian weapons deployed in the occupied Donbas and Crimea. "Currently, we are talking about 4,200 regular troops and up to 40,000 militants, over 400 tanks and 800 armoured vehicles, a thousand of artillery systems and more than 200 rocket fire systems, and about 23 thousand troops in the occupied Crimea," said Klimkin. He noted that the representative of the Russian Federation International Court of Justice has made an entirely absurd statement that Russia-supported militants in Donbas have allegedly found all of the above weaponry in the Soviet-times coalmines, which has been allegedly hidden there. The minister also said that the Kremlin's war against Ukraine over the past three years led to the occupation of 7.2% of Ukrainian territory, and that nearly 10,000 Ukrainian citizens, both military and civilians, have lost their lives and about 23 thousand Ukrainians were wounded. The Russian representative at the International Court of Justice in The Hague said that the events in Eastern Ukraine were caused by "overthrow of government" and "a coup" in Kyiv and accused Ukraine's failure to implement Minsk agreements.